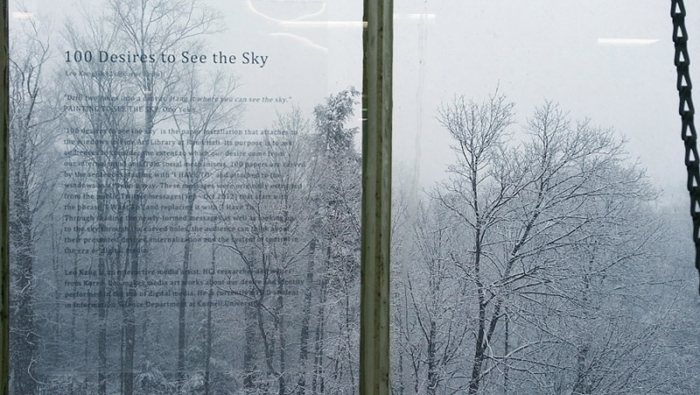 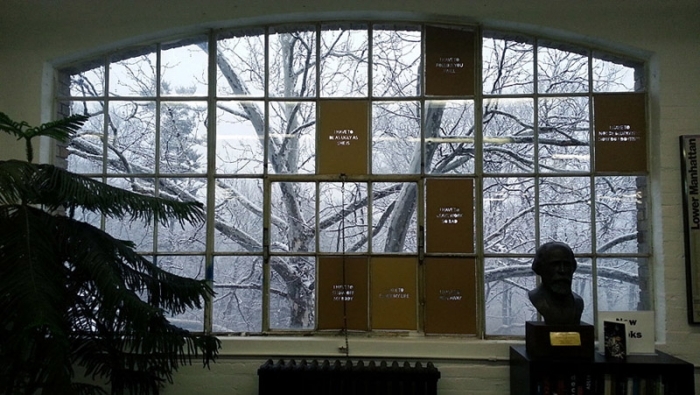 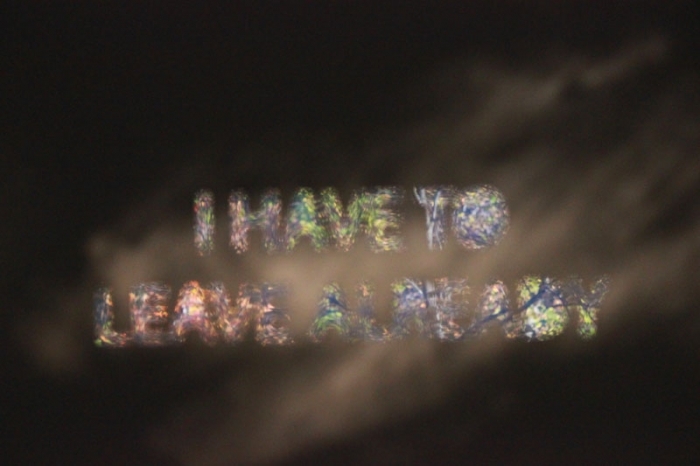 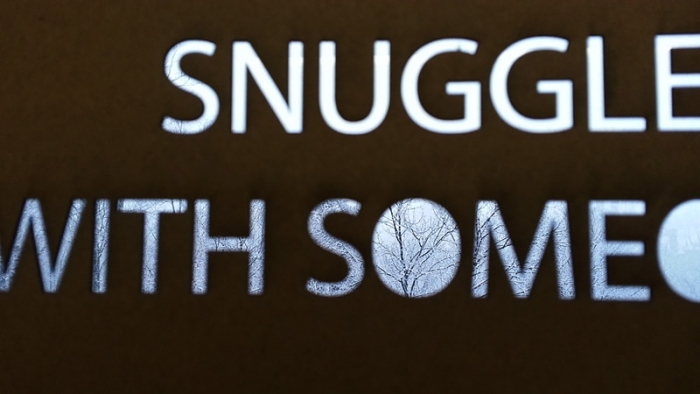 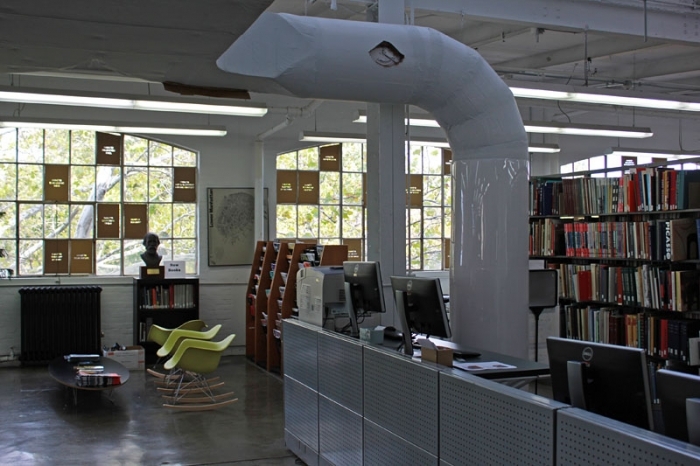 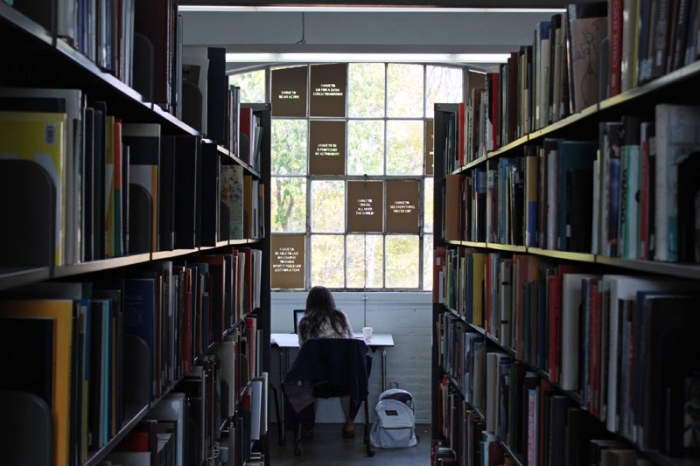 ‘100 desires to see the sky’ is the paper installation that attaches to the windows in Fine Art Library at Rand Hall. 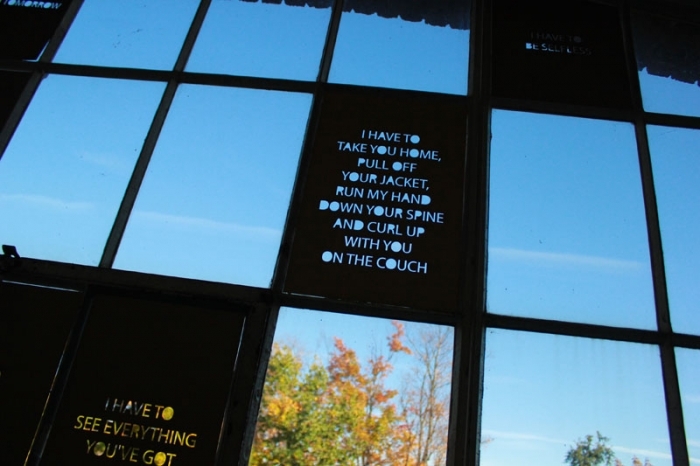 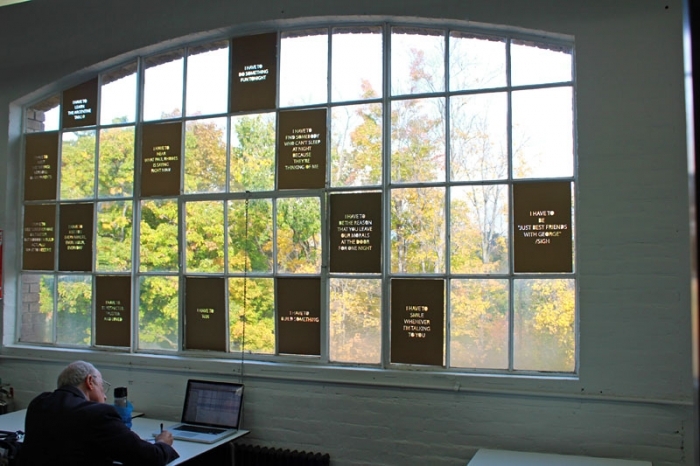 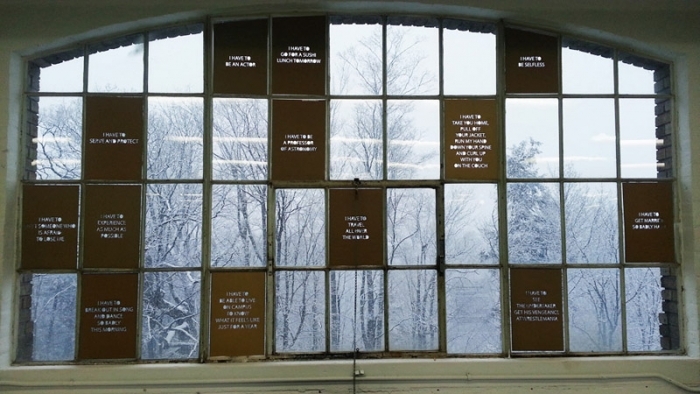 100 papers are carved by the sentences starting with ‘I HAVE TO’, and attached to the windows in a random way. 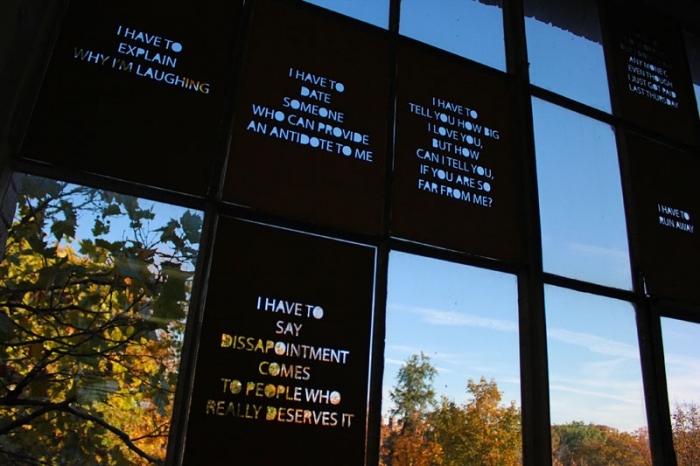 These messages were originally extracted from the public Twitter messages(Sep - Oct 2012) that start with the phrase ‘I Want To’, and replacing it with ‘I Have To.’ Through reading the newly-formed messages as well as looking up to the sky through the carved holes, students who use the library can think about their presented desires, internalization and the system of control in their daily school life.